All of our facial services include a skin analysis and recommendation/instruction on how to achieve your skin care goals, a thorough and relaxing cleanse, tone, steaming session, masking, facial massage, extractions, skin polishing and protection and any other treatment included in your selected facial. 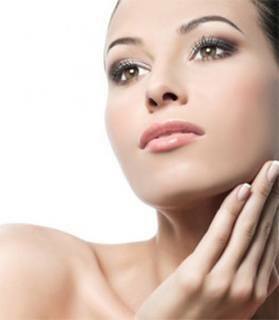 Each facial is designed to accomplish a specific goal, based on each individual need. Please review our list of facials designed to accomplish your specific skin care needs and welcome to Great Skin Spa & Skincare! or oily skin. Relaxing, yummy and a beautiful treat for you and your skin! This luxuriously peaceful and aromatic experience will not only alter your senses and uplift your spirit, it will transform your parched skin into an evenly toned, velvety smooth surface with life and vitality. Calms redness, irritation and symptoms of rosacea. A good skin drenching and soothing aromatic ingredients will leave your skin feeling calm and cooled down. This purifying facial will help to banish your breakouts by absorbing oil and impurities and soothe skin eruptions. Your complexion will be refreshed, stabilized and protected as it prepares itself to heal. We’ll take nurturing steps to ease discomfort, calmly rejuvenate and accelerate the healing process. Your fragile skin condition will become a glowing complexion with minimal aggravation and maximum rewards. A yummy facial for the back. This deep cleansing, exfoliating treatment will smooth and heal problematic back skin conditions, revealing healthy and glowing skin.